Biometrics in the Healthcare Industry - Xyntek Inc.
Xyntek provides services to implement and integrate individual hospital or enterprise-wide staff user authentication and/or patient registration utilizing biometrics as part of its XyNexus offering. Any combination of password, identification card, or biometrics may be used for secure access to sensitive records or the patient registration requirements that are typical across numerous computer systems within the hospital IT environment. The Xyntek solution is based upon globally supported ID Center Software. Xyntek provides IT integration and support that can be applied across all popular CPOE systems and existing legacy hospital software solutions. 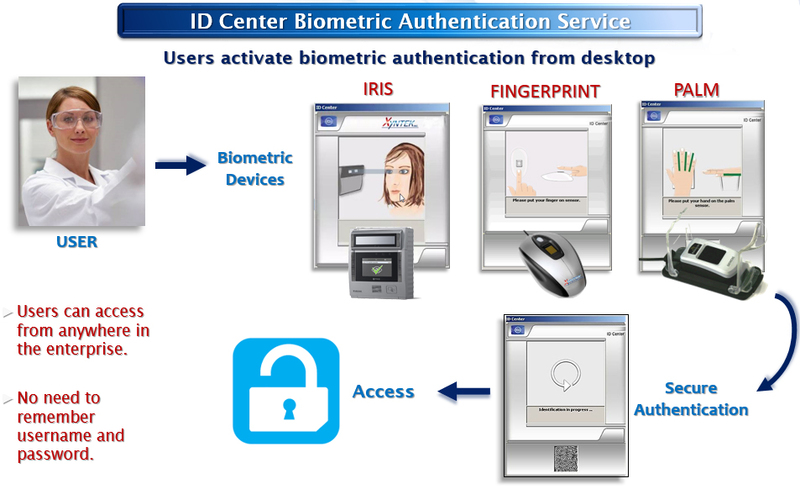 Integration of numerous readily available biometric sensor technologies, including fingerprint, palm vein reader, and/or iris scan may be utilized for system access. Biometric sensors from the most popular suppliers (including UPEK and Authentec (commonly found in laptops), CrossMatch, Testech, Identix, Dermalog and others) are supported.